Consensus seems to be building over a dual baseline—the period for which consumption is considered as a reference point for HFC phase down—among 147 Article 5 countries at the Meeting of Parties (MOP) to the Montreal Protocol going on in Kigali, Rwanda. 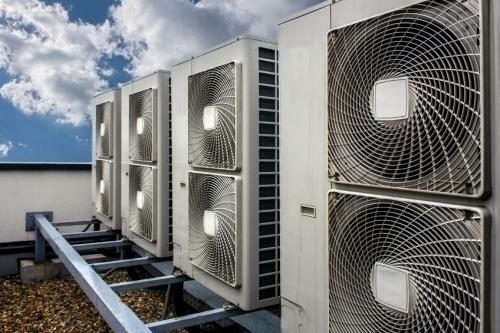 Representatives from 196 countries are participating in the 28th MOP to negotiate a phase down of super greenhouse gases—the hydrofluorocarbons (HFCs)—used mostly in the refrigeration and air conditioning sector. HFCs do not deplete the ozone layer, but have very high global warming potentials. The likely consequence of the meeting may be a change in status quo of differentiation mechanism for countries party to the Montreal Protocol. This, experts say, will lead to more equitable and environmentally beneficial phase down of HFCs. Details of the proposal by Article 5 countries have not been made public. However, discussions point that one baseline group will be led by China while other major HFC consumers will join the second group. Developed countries have also asked for details of the dual baseline proposal to aid in framing their own phase down schedules. The five baseline proposals submitted at Vienna were converged into dual baseline after China and other parties agreed to an earlier baseline—average consumption at 2020-22 levels—and all other countries agreed to a later baseline of average consumption at 2024-26 levels. These concessions from the developing world were subject to steeper reduction schedule from developed countries, comprising a 70 per cent reduction by 2027 and zero contribution of hydrochlorofluorocarbons to the baseline. Developing countries also asked for an increase financial and technology transfer commitments. India, an important voice from Article 5 countries, has defended the dual baseline. It said that China being the world’s largest producer and consumer of HFCs, should be asked to phase down first. It also said that the baseline for developing countries should be linked to the point when developed countries’ emissions reach 30 per cent. The 30 per cent point is crucial as it signals optimised technological development and economies of scale for Article 5 countries to start their phase down. India has asked for a six-year-gap between the baseline and freeze date (year when HFC phase down begins), similar to developed countries. In addition to a dual baseline, most Article 5 countries also want additional funding for energy efficiency and inclusion of hydrofluoroolefins (HFO) in the controlled substances list. HFOs are patented refrigerants with uncertain environmental impacts, especially on aquatic ecosystems. Following the demand for a dual baseline from Article 5 countries, some developed countries also asked for a dual baseline within their group. These demands were led by Russia and Belarus who proposed an alternative baseline for developed countries to the one proposed by European Union and the United States during the negotiations in Vienna in July this year.